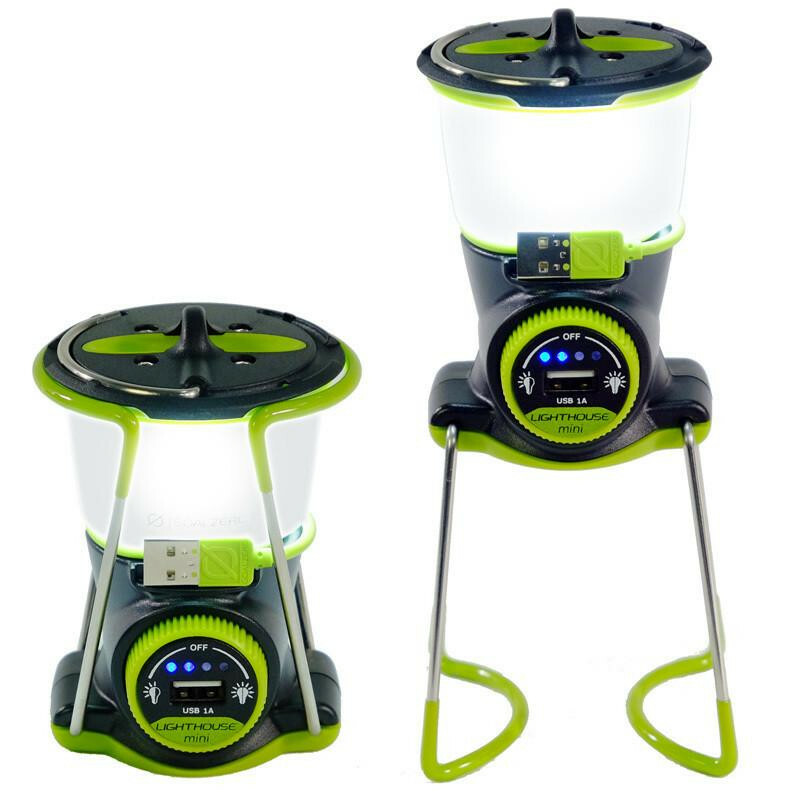 The powerful Goal Zero Lighthouse Mini Lantern and USB Power Hub commands attention and to prove that smaller is better. 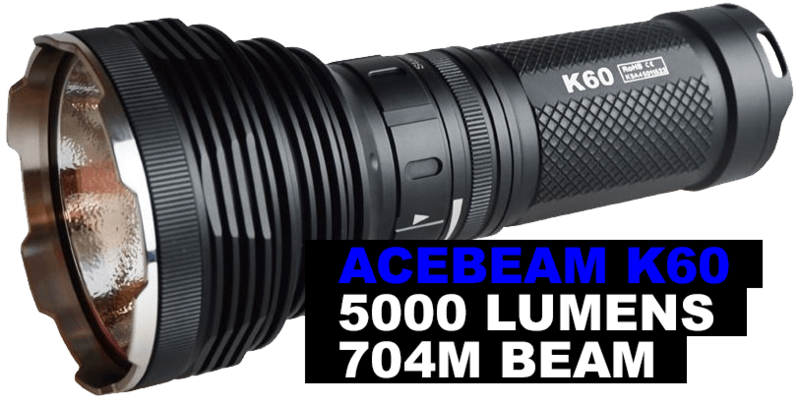 Adjust brightness and direction for extended runtimes, up to 500 hours on low. 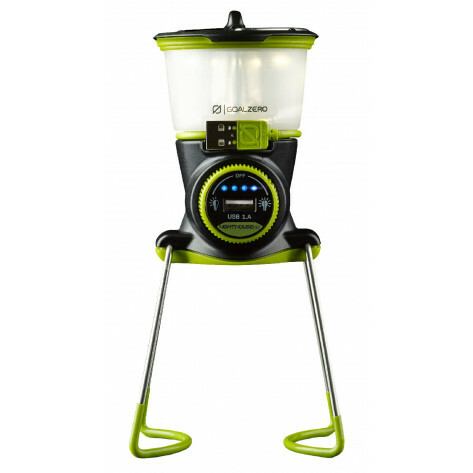 Fold-down legs for maximum light dispersion. Built-in hook and magnets for versatile mounting. 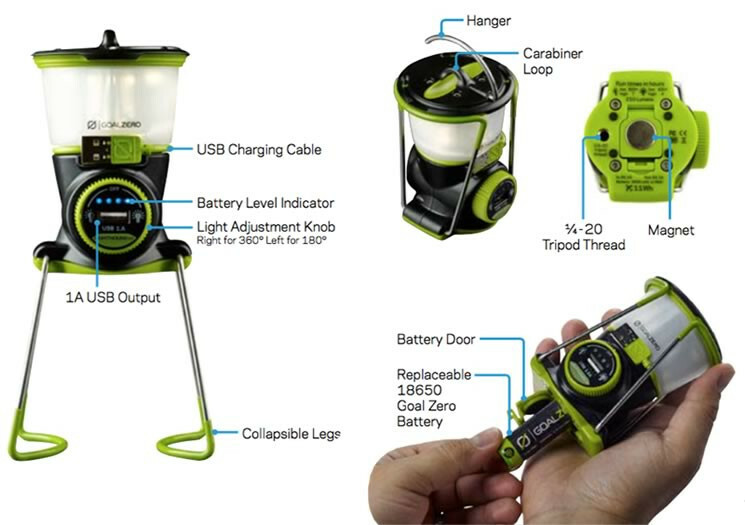 Built-in 1A USB port with 3,000mAh battery for up to one full phone charge. 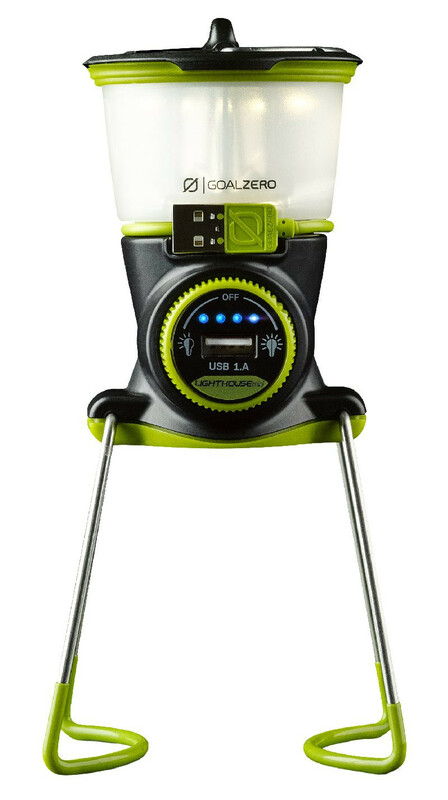 Power up from Goal Zero Nomad solar panels (Not included) or plug into any USB port with the built-in charging cable.